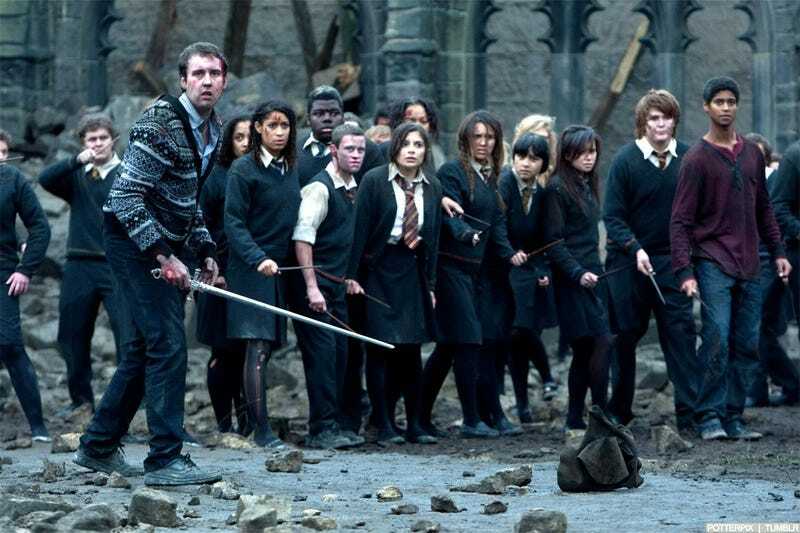 Would you Survive the Battle of Hogwarts? This choose your own adventure style article has to be the best think I’ve ever found on BuzzFeed. Choose your character and then play your way through the eyes of an average student during the battle of Hogwarts, dueling Death Eaters, protecting your fellow students, and healing the wounded. Darkness descends on Hogwarts. Professor McGonagall has assumed the role of headmaster after driving Snape from the Great Hall, and Harry Potter and the Order of the Phoenix are putting battle plans in motion. War is coming, and you’ve already faced your first choice: to stand and fight, when those around you are running and hiding, fleeing Hogwarts for safer ground. But you know that nowhere will be safe if the fight is lost. There will be nowhere to hide after tonight. Start your adventure here and see if you survive the night. Can You Survive The Battle Of Hogwarts? The night is dark and full of terrors. Choose wisely. Try not to die.